In anticipation and celebrating the 250th Anniversary of Anthracite Coal, the Alburtis Lockridge Historical Society is offering this limited addition license plate. These plates are being sold at $25.00 each plus shipping! This historical documentary was commissioned by the Alburtis Lockridge Historical Society to chronicle the development of Alburtis from a farming community into a suburban community. Based upon the “History of Alburtis”, as authored by Allen Oswald, the script uses historical images and maps to trace the two villages of Alburtis and Lock Ridge through their union as they joined to become the Borough of Alburtis in 1913. The two villages and the businesses with the services they supplied made this area self-sufficient. Lock Ridge Iron Furnace thrived from 1868 to 1920 using the iron ore, limestone and anthracite coal brought by rail from the north. Today it is a Lehigh County Park and the only preserved anthracite furnace in the country. The narration, a musical bed plus animation are used to take the audience on this “stroll through the past”. The length of the presentation is 20 minutes and it received the Videographer Award of Excellence from the Videographer Creative Awards in 2016. The DVD is exclusively available through the Alburtis Lockridge Historical Society. The cost is $25.00 plus shipping and handling of $3.00. 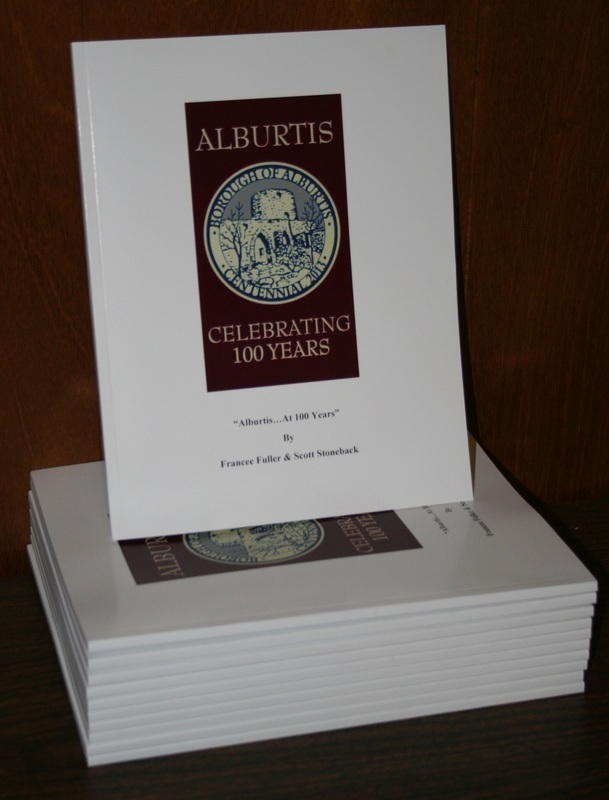 Our new Alburtis History DVD is available. The DVD is 33 minutes long and is based on the 1893 Thaddeus Fowler Map. The map is used as a tool to navigate through Alburtis, showing photographs from 1906 and compared to current day locations. Limited supplies available for $20.00, shipping and handling of $3.00. 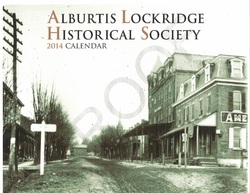 "Only 50 DVD copies available"
"2014 Alburtis Lockridge Historical Society Calendar"
The Alburtis Lockridge Historical Society has produced and is selling a 24 page, 2014 calendar consisting of 12 of the photos from our 1905 photo collection. This high quality, black and white calendar was designed by the Alburtis Lockridge Historical Society in conjunction with EBC in Trexlertown, Pennsylvania. The finished size of the calendar is 8 ½” x 11”, saddle-stitched and trimmed, with a hole drilled for easy hanging. Photographs are quality prints, ready for framing once calendar has been used. Cost is $5.00 each. Shipping is an additional $3.00. Available for sale at our museum during meetings and events for $1.25. This tool set includes an anvil along with a broad ax and adze. Length of the tools are approx. 3 1/2". Available for sale at our museum during meetings and events for $3.00, while supplies last. 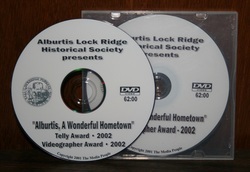 ﻿“Alburtis, A Wonderful Hometown” was produced in 2001 for the Alburtis Lockridge Historical Society. This documentary weaves the interviews of 64 current and former residents of Alburtis. 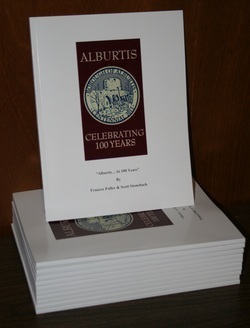 "Alburtis, Over 100 years of Memories"
A narrated tour through the history of Alburtis and Lock Ridge, produced in 2010 for the Alburtis Lockridge Historical Society, by the Media People uses historical and current images to tell the story. 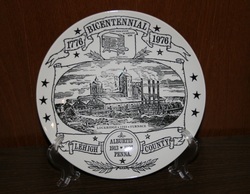 This commemorative plate was produced to help celebrate the nations bicentennial in 1976. 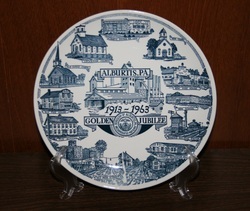 This commemorative plate was produced to depict local points of historical interests in commemoration of the Golden Jubilee Celebration of Alburtis, Pennsylvania in 1963. Alburtis is located in the heart of Pennsylvania Dutch Country and at one time was a bustling town of industry. This celebration is being held to celebrate the joining of the villages of Alburtis and Lock Ridge into one borough. 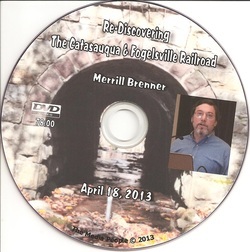 "Re-Discovering the Catasauqua and Fogelsville Railroad"
This DVD is a result of a presentation following the connections of five men to the railroad and relate how they uncovered the story of the railroad and the iron industry, and its meaning for all of us today. This presentation is a joint collaboration of the Historical Societies of Lower Macungie Township, Lockridge, Macungie and Longswamp Township. 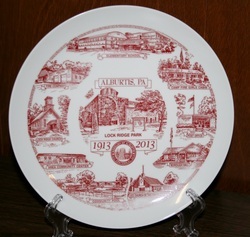 This commemorative plate was produced to depict local points of historical interests in commemoration of the Centennial Celebration of Alburtis, Pennsylvania, May 10th to May 12th, 2013. Alburtis is located in the heart of Pennsylvania Dutch Country and at one time was a bustling town of industry. This celebration is being held to celebrate the joining of the villages of Alburtis and Lock Ridge into one borough. A broadcast video documentary produced by the Media People for the Alburtis Lockridge Historical Society to celebrate the Centennial of the Borough of Alburtis. This documentary features the reflections of 36 current and former residents of Alburtis. 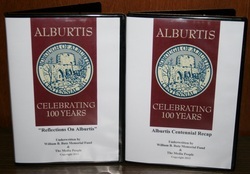 The “Alburtis Centennial Presentation” DVD includes all of the events that took place during the Centennial Celebration in May 2013. This DVD was produced by the Media People for the Alburtis Lockridge Historical Society. “Alburtis, A Wonderful Hometown” was produced in 2001 for the Alburtis Lockridge Historical Society. This documentary weaves the interviews of 64 current and former residents of Alburtis. This presentation received the Telly Award and Videographer Award in 2002. The “Alburtis Centennial Presentation” includes all of the events that took place during the Centennial Celebration in May 2013. This DVD was produced by the Media People for the Alburtis Lockridge Historical Society.